there's a thread for this in 'urban core'. The vacant lot at 18th & Cherry is under contract. 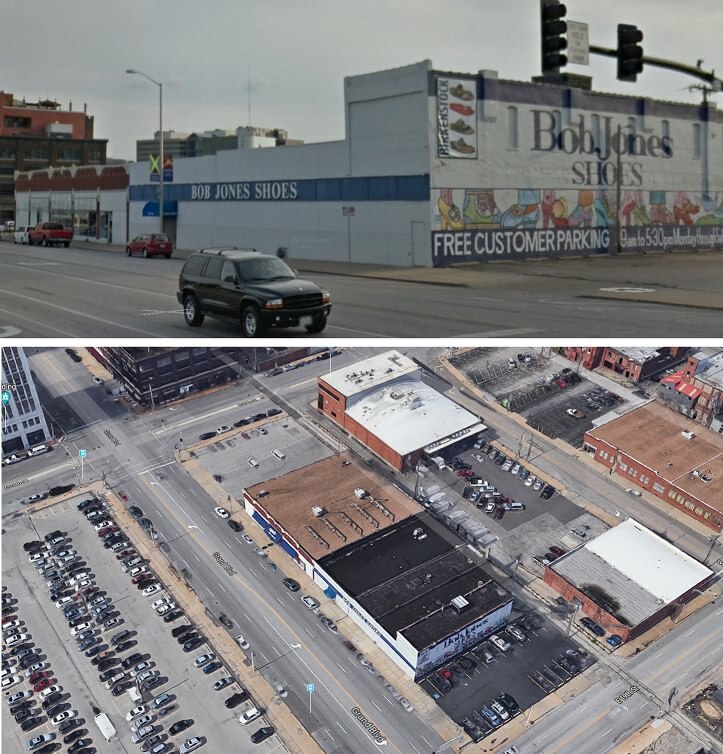 The former Eagle Products building at 19th & McGee will be renovated into office space. Can we talk about crossroads parking? SHS leaving for. Westport and specially called out parking problems.....I don't park in the crossroads ever.... I walk by a ton of lots and garages that aren't full.... So what gives? SHS had outgrown its own lot. So, I think it becomes an issue to manage with employees. Why do some get parking and others don't, blah, blah, blah. It's a silly argument to make for a building that had a dedicated lot and resources (but apparently not desire) to accommodate all of their employees. There's 100,000+ parking spots downtown. I figure it's business owners being unwilling to pay a monthly fee for parking on top of their own costs. It's not a silly argument, it's basic economics that they're unwilling to pay. The way this changes is by location playing a part in employee retention. If workers leave this employer to return to the crossroads that's what it will take to get business owners to make different economic decisions. Before this discussion goes any farther, you all might want to read the article. Obviously, the primary motivator was lack of space in the building for a growing company, not parking, though parking was of course a factor and is always a cost. If they were ditching the crossroads and moving to Olathe, you might wring you hands, but Westport is another story. It is a desirable urban location with lots of amenities. There's plenty of options, they probably just didn't like the cost. There is no hand wringing here.... Just the discussion of different realities that SHS mentioned as a reason for moving. The vacant lot at 18th & Cherry is under contract. $1.7 million, "foreign investment group", probably mixed use with a heavy market-rate residential component for that price (if the deal goes through). More news and drama over the partial building collapse- Was it legal to have tenants? The city says NO. Meddys, a popular Wichita restaurant serving healthy dishes from Lebanon and the Eastern Mediterranean region, plans to open its first out-of-town outlet in the Crossroads by next summer. Meddys would like to locate in the Monogram Building at the northeast corner of 18th and Wyandotte, a multi-tenant, historic structure that once included YJ’s Snack Bar among its tenants. Bob Jones Shoes is closing. Bob Jones Shoes is closed now. What should happen with the parcell? It appears from above to have originally been four separate buildings. It should be torn down to become one mega block on top of a parking garage that has two entrances on grand. It appears from the inside to be four separate buildings also. Rumor awhile back that HyVee was interested in the property. They have one urban concept in Des Moines. I still desire a community space in the parking lot across from Bob Jones ...but not my direct neighborhood so I defer. None of the buildings are really very attractive in their current state. I think all the windows have been cinder blocked. I'd be fine with tearing them down as long as something went in it's place (besides a surface lot).